August » Barringer & Barringer Inc.
Plant Environment: Does best in a full sun location, or at least afternoon sun. Does well in average soils with good drainage. Drought tolerant once established. Plant Bloom: Feathery panicles of seed heads develop late summer into fall. Songbirds will feast on the dried seedheads during the winter months. 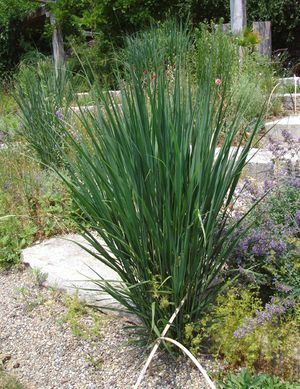 This native switch grass has outstanding blue green foliage that has a very vertical growth habit. Plant as an single accent plant in flower gardens or use an enmasse planting for an informal natural effect. Plantings located where they are backlit by the summer sun enhances the beauty of the airy seed heads.